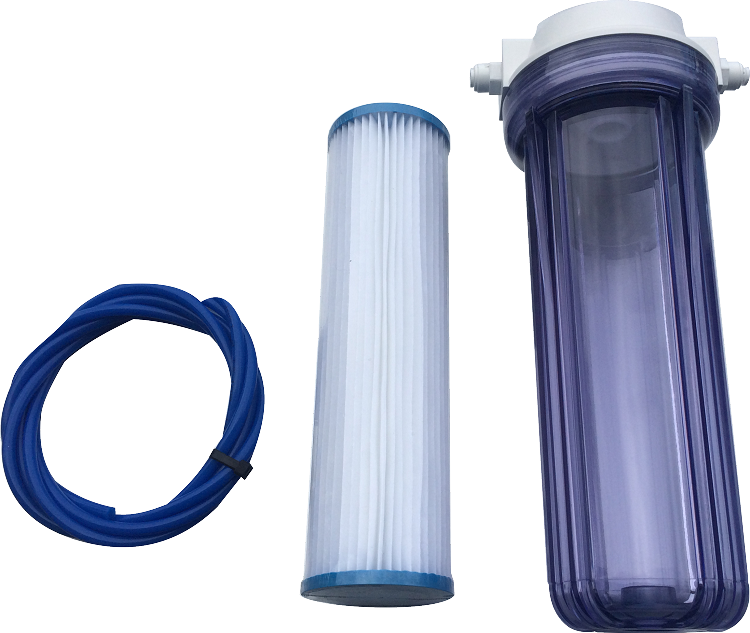 Add this deionization stage to your Reverse Osmosis System. 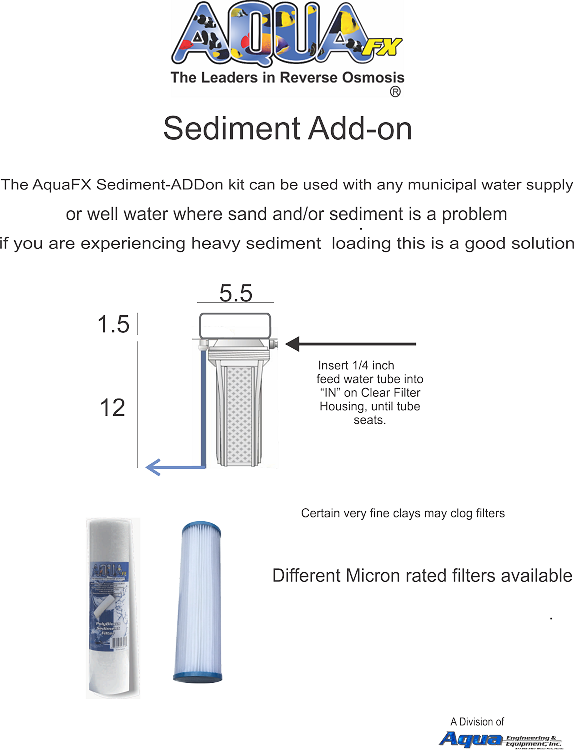 This 20 Micron Washable Add On Sediment is for use in front of your Reverse Osmosis unit ( or can be used alone). Commonly used for heavy sediment loading in the 1 micron pre-filter. When pressure drops 5 PSI it is time to wash/change the filter.